Evolve beyond your boundaries with Olena's best selling plant protein powder formulated to help you recover faster and stronger. It's a complete, multi-source blend of plant-based protein made from peas, brown rice, amaranth, and coconut. Way cleaner than whey! It tastes great on its own in cold water or nut milk. 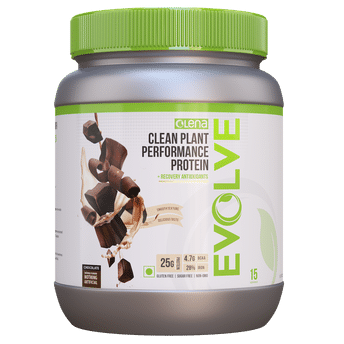 Alternatively, you can also find many more products from the Olena Evolve Performance Plant Protein Powder Chocolate Flavour range.